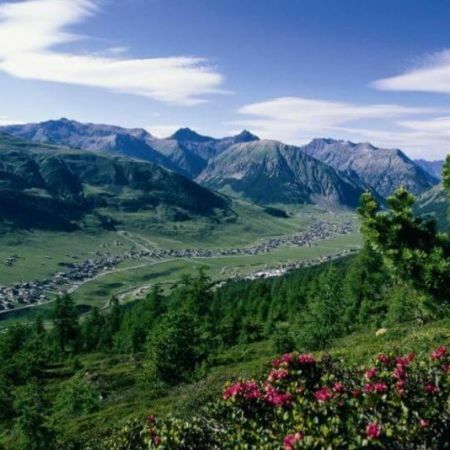 Between the Swiss and the Stelvio National Park: welcome to the Hotel Spol in Livigno! Every moment of the year is the right one to spoil yourself with a holiday in Valtellina, in the welcoming atmosphere of our 4 stars wellness hotel in Livigno. On one hand you will enjoy the beauty of the landscape, with its typical huts, distributed here and there in the snow or on the green meadows. A silent scenary, illuminated by the sunshine and under a deep blue sky, with a sparkling and energizing breeze. Valtellina means also - or above all – the best flavours and old recipes. Terraced fields and vineyards explain how hard the work can be for farmers, in this region: The results are: exciting food and wines, like those served at the Hotel Spol restaurant. There is nothing better than a walk into the wellness centre, where you will have the impression to take a walk in the streets of Engadine village. Swimming pool with water games and whirlpool, sauna, steam baths, Kneipp parcours and two relax rooms. You can choose among many possible treatments, massages and much more! "We went for the 10th time to hotel Spöl. It's like 'a sort of homecoming' every year. The reception and the hole staff is every time very friendly. You can ask what you want they will always help you. This year we slept in the new rooms of the hotel with a view on the slopes. The new room and the bathroom is very spacey (35 m2) build with warm materials. The restaurant is also beautiful renovated with big windows. So you have a nice view on the surroundings. Also the food is delicious with very good ingredients. The dishes are served like paintings. Even the desserts are superb. After the dinner there is always a surprise with drinks from the region. After a day of skiing you can relax in wellness area. Everything is very clean. This hotel is recommended for people who likes a quit hotel near the slopes and the center of Livigno. You walk with your skis in your hand to lifts of ski area of Carosello and the bus stop to Motollino." Our hotel with swimming pool is located in the heart of the village, at the entrance to the pedestrian area, with outdoor parking or garage included in the rate. It is 100 m far from the lifts of the Livigno skiing area, and opposite to the 40 km cross-country skiing course. If your motto is “an healthy body in an healthy mind” Hotel Spol is the ideal place to be. 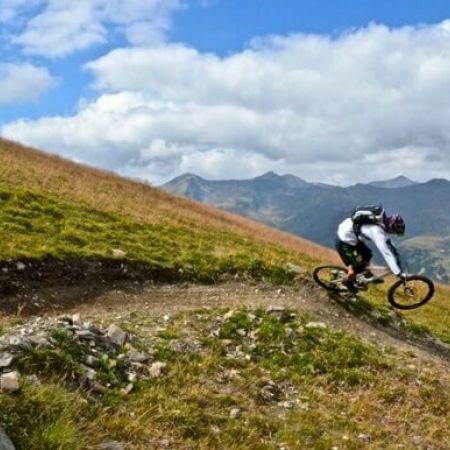 Expecially if you combine your holiday with one of the different sports that you can practice in Livigno. 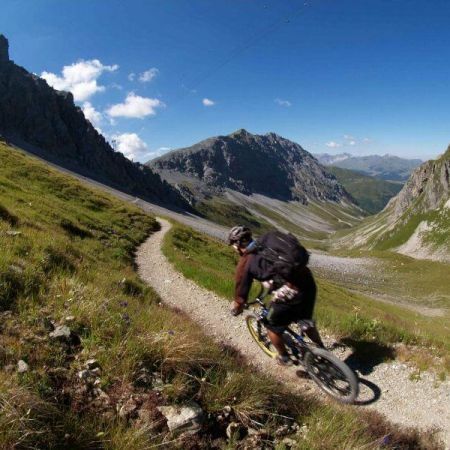 For example, trekking, biking, rafting, climbing or mountain biking in summer; snowboarding, skiing, cross-country skiing, snowshoe excursions and sleddog at the Husky Village in winter. While men are enjoying some sport activities, women can choose among endless shopping possibilities - Livigno is a duty free area! We have a partnership with the most important stores: our illustrated brochure describes easily and in a practical way the best and cheapest offers. The Hotel Spol has been founded in the 50ies by Rocco Silvestri, on the side of the homonymous river in Livigno. It has always been a symbol for hospitality and quality in Valtellina, for travellers and hoteliers. Business Name: ALBERGO SPOL S.R.L. Registered Capital: € 60.000,00 i.v.